He was most popular around the mid 1990s with cover versions of songs including The Shirelles' "Dedicated to the One I Love" (UK No. 6) and Fats Domino's "It Keeps Rainin' (Tears from My Eyes)" (1993), which was his biggest UK hit, peaking at No. 2. McLean's song "It Keeps Rainin' (Tears from My Eyes)" topped the charts in New Zealand and the Netherlands in 1993. McLean also played on three UK arena tours supporting UB40, Wet Wet Wet and Simply Red respectively. In 2018, he released the "LOVE RESTART" album. The LP features 6 extended mixes of previously unreleased tracks, while the CD edition features the same 6 tracks in their regular length plus 5 extra songs. The digital edition features the 6 extended mixes from the LP and the 5 other tracks from the CD. Produced with Sly & Robbie and Guillaume Bougard, and mastered at Abbey Road, LOVE RESTART came out August 21, 2018 on TABOU1's bandcamp store  and was distributed worldwide starting September 2018. Wikimedia Commons has media related to Bitty McLean. ^ a b c Leggett, Steve. "Bitty McLean Biography". AllMusic. Retrieved 19 February 2009. ^ a b c Roberts, David (2006). British Hit Singles & Albums (19th ed.). London: Guinness World Records Limited. p. 340. ISBN 1-904994-10-5. ^ "Posh star Mclean's brother hopes to score a hit". Peterborough Evening Telegraph. 26 February 2010. ^ a b c d e f g h i j k l "Official Charts >Bitty McLean". The Official UK Charts Company. Retrieved 14 May 2017. 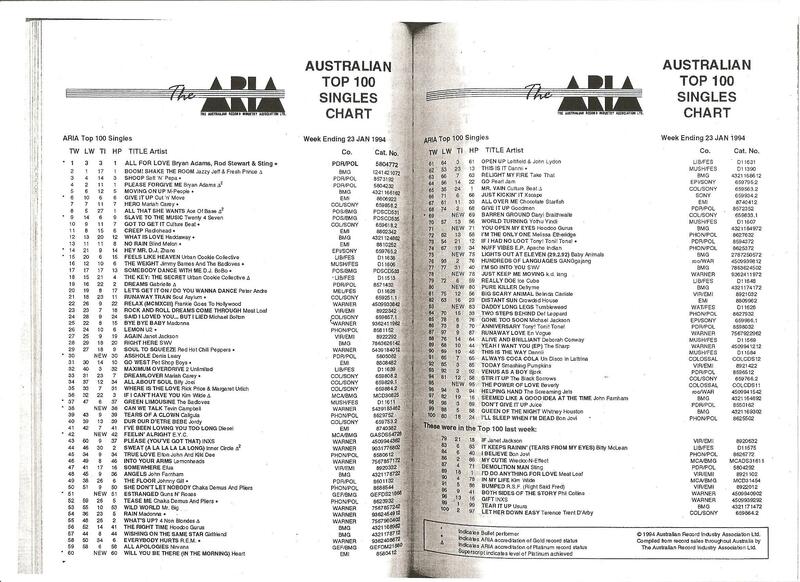 ^ "The ARIA Australian Top 100 Singles Chart – Week Ending 23 Jan 1994". Imgur.com (original document published by ARIA). Retrieved 14 May 2017.